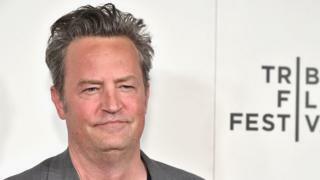 Matthew Perry is recovering after recently undergoing abdominal surgery in a Los Angeles hospital. It’s reported the Friends star had the operation to “repair a gastrointestinal perforation”. A representative of the actor said: “He is grateful for the concern and asks for continued privacy as he heals”. Perry has been open about his struggles with alcohol and substance abuse, admitting he barely recalls recording three series of Friends because of it. A gastrointestinal perforation is a hole in the wall of part of the gastrointestinal tract and usually requires emergency surgery. It is often referred to as a ruptured bowel, but can refer to a tear in the throat, stomach, small intestine, or large intestine. Symptoms include severe abdominal pain and tenderness. Perry has admitted to battling addiction throughout his adult life – beginning during his time playing Chandler Bing on hit show Friends – the finale of which was watched by an estimated 52.5 million people in the US. Although his character was famed for witty one-liners, he told the BBC in 2016: “I don’t remember three years of it.” The 48-year-old added that during series three and six, he was often “a little bit out of it”. Perry has been in and out of rehab and joked in 2015 that he was an “award-winning alcoholic” after receiving an accolade from California-based rehabilitation organisation Phoenix House.